To become a true premier Talent brand, we need to build our talent bench from the best available talent in the world. One of the ways that world-class talent comes to NIKE, Inc. is through the NIKE Manufacturing Talent Development Program. 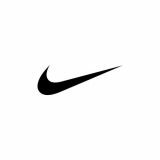 NIKE Manufacturing Talent Development Program is a good opportunity for student to experience a challenging intern in a environment work dynamic and professional. Through these programs we have an opportunity to gain knowledge and critical insights from our Next Generation talent.